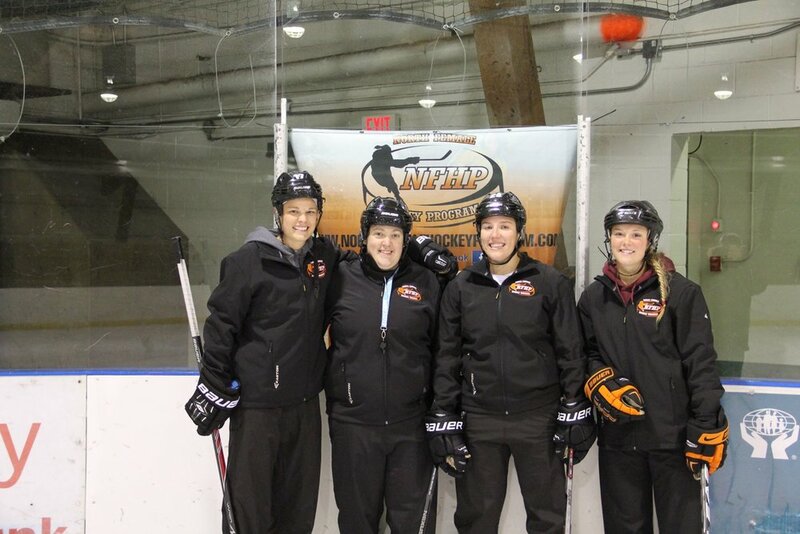 This all Female Hockey Program is its first in North Central Saskatchewan welcoming participants across the province. The camp offers a high quality and low cost hockey development experience for female hockey players of all ages and abilities designed to improve skills in a challenging, yet fun and enjoyable environment. The instructors range from past Olympian champions, University hockey program graduates and other professional female hockey players as well various certified fitness instructors. Sign up today and your player will develop not only their hockey skills but also important life and team building proficiencies to empower our young female athletes. Our first annual three day camp was held on Aug 17-19, 2015 at the Kinsmen Arena in Prince Albert and included a variety of off-ice sessions in addition to nine hours of on ice instruction by our highly qualified instructors. Goalies received an additional three hours of on-ice goalie specific training.